For introductory courses in computer concepts, digital literacy, or computer literacy, often including instruction in Microsoft Office. 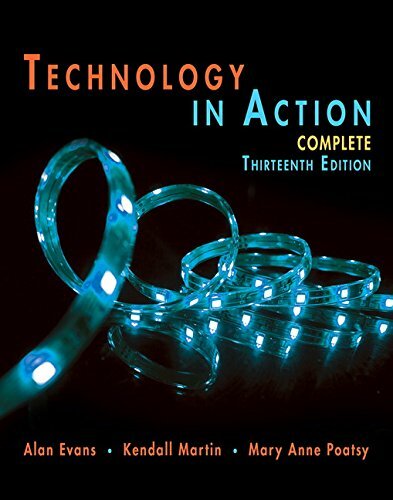 Explore, discover, and experience technology with the interactive and adaptive Technology in Action —the book that uses technology to teach technology! This book offers a learning system that pushes the envelope of what is possible in technology, and what is helpful in teaching. Although students are more comfortable with the digital environment than ever, their knowledge of the devices they use every day is still limited. The authors focus on tasks that students can accomplish with their devices, and skills they can apply immediately in the workplace, the classroom, and at home. This book fits the way students are learning today. If you have any questions about this product by Pearson, contact us by completing and submitting the form below. If you are looking for a specif part number, please include it with your message.